This might backfire on Gene Smith and Ohio State in the near future. At some point in the next three years, it’s likely that Ohio State head football coach Urban Meyer will renegotiate his salary. At that point, Gene Smith might have to eat some of the words his words from Thursday. Per The Lantern, Smith was speaking at Ohio State’s Board of Trustees’ Talent and Compensation Committee meeting on Thursday when he made some comments about the ever-escalating salaries that coaches are getting across college football. Smith’s comments were made in response to Jimbo Fisher’s fully guaranteed 10-year, $75 million contract at Texas A&M and how that’s the new normal for top-tier college football coaches. The conversation was also in reference to the impending decisions that will come with Meyer’s next contract. Given Meyer’s track record, there’s no reason to think he shouldn’t command more money than Fisher and should probably be among the five highest-paid coaches in the nation. Meyer currently makes around $6,431,240 according to USA Today’s coaching salary database. That was good enough to be the fourth-highest-paid coach in the country last year, second in the Big Ten only to Jim Harbaugh ($7,004,000). Meyer is currently 3-0 against Harbaugh since he took over at Michigan. With Fisher’s contract, Meyer drops to No. 5 overall, and there’s no reason to think some larger contracts will be signed between now and 2021, dropping him even further down the list. 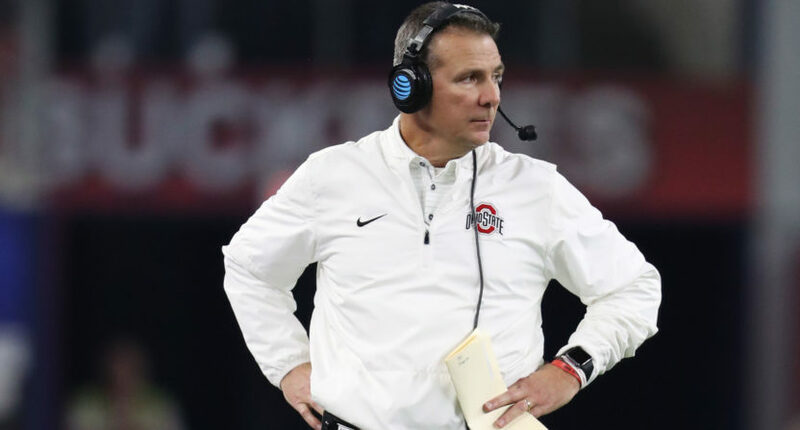 Assuming he keeps Ohio State in the national championship discussion every year and wins a couple more Big Ten crowns, Ohio State will have to shell out some bigtime bucks in order to retain his services (if he still wants to coach). At which point, someone (Meyer’s agent?) might point to Gene Smith’s comments back in 2018 and enjoy making him eat those words. In the meantime, Ohio State will continue to pay “ridiculous” salaries to coaches because their football and basketball programs remain among the best in the country. During that same meeting, OSU approved a new 8-year, $26 million contract for men’s basketball coach Chris Holtmann. That makes him the third highest-paid coach in the conference behind MSU’s Tom Izzo and Michigan’s John Beilein. Meanwhile, Ohio State ranks 13th in the nation and second in the Big Ten in terms of assistant football coach salaries and recently agreed to pay new offensive coordinator Ryan Day at least $800,000, though that number should rise given the promotion. As athletic director, Smith commands a $2 million salary annually.